Chestnuts are popular in many countries, but especially in Turkey they are considered a fine and exclusive specialty. We offer you our candied chestnuts covered in the finest sugar syrup, which are offered as a sweet treat and are a real treat for your taste buds. Each one is packed in golden aluminum foil. First, the candied chestnuts come in small molds and are then vacuum-packed for additional protection. 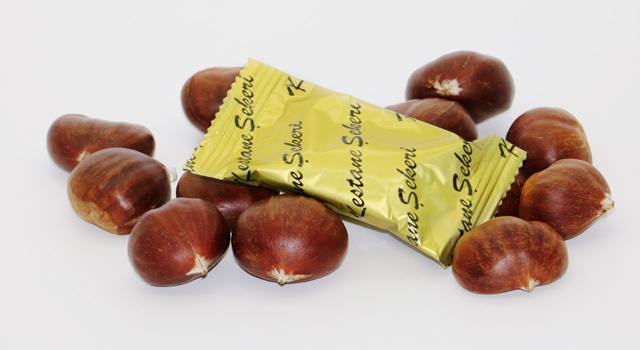 The individual chestnuts are each packed in 250g, 500g and 1000g boxes. Through our process, the sweet foods stay for 12 months, as fresh as the first day. The inviting packaging boxes can also be used as a stand, so the individual glazed chestnuts are directly available to your customers. Glazed chestnuts can be served for coffee or tea. They are also suitable as an ornament for pies or desserts, but also as a pure delicacy, they are a real treat.